Work With the Same Tools as the World’s Top Designers for 99% Off! Imagine how much your design work would step up if you had access to the same tools as the best designers in the world. Well good news! This bundle makes that possible, for the first time ever at a totally affordable price. We’ve teamed up with some of the best illustrators and designers in the world to bring you a range of their best products for less than 1% of the regular price, with the best license terms available anywhere. Designers often feel at their most inspired working on projects that are more creative in nature. These are the projects where we can really express ourselves and produce our best work. Of course creative projects aren’t only for artistic expression. Many designers in our community make a living selling their own creations – which feature on everything from greeting cards to posters, bags, stickers and so much more. Whether you’re looking to create a personal project, or make a steady living from your art, this bundle is the ultimate shortcut. The incredible resources included are all mega popular at full price. To get access to them all for 99% off, with the best licensing available anywhere is unheard of! You will save hours in your regular design work. You’re getting access to a huge library of high quality resources that you can simply drag/drop into your regular projects, and use to create incredible results. You don’t need to worry about endless time spent illustrating, painting and scanning, as this laborious work has already been done for you, by some of the best professionals in the industry! You will feel more inspired! Rather than starting from a blank canvas, this collection provides you with thousands of potential starting points. Whatever your next project is, this collection will help you to avoid the dreaded creative block, and hit the ground running. You will see the quality of your work improve. This bundle is here to fill in any gaps in your skill set. For example – I’m an experienced designer, but not much of an illustrator – so having a vast collection of gorgeous illustrations is a lifesaver for me! This is a MASSIVE bundle of hundreds of the best-selling vintage and antique flower and botanical graphics from Eclectic Anthology, as well as the newest listing of 100 large scale vintage botanicals. There are silk flowers and a few extras thrown in the mix for an added bonus! These vintage flowers are a must have for any designer’s toolbox. I hope you find them as useful as I have! Software compatibility: Adobe Photoshop or Illustrator CS2 and newer. .PNG files will work with most graphic software. I love WoodType posters. I love the inconsistency of the print, the fact the letters don’t always line up and sometimes the fact that some letters are missing and other typefaces are substituted in. Unfortunately I have no access to the beautiful machinery. So instead, I’ve built a tool set that enables you to quickly create your very own Woodtype layouts by simply dragging and dropping the letters onto your artboard like you were actually selecting them from a type drawer. Rather than produce a font which would give you the same look every time, I have used Illustrator’s powerful symbol libraries to make it super easy for you to choose how you would like the letters to go together. Use this product to produce your own prints / cards to sell on art stores like Etsy, Society6, NotOnTheHighstreet, etc. •	4 WoodType Symbol Libraries (Extended Sans, Extended Slab, Condensed Sans, Condensed Slab). Software compatibility: Adobe Illustrator CS3 and newer. Software compatibility: Adobe Photoshop CS2 and newer. .PNG files will work with most graphic software. This watercolour handpainted collection includes all you need for your own unique creation: floral elements (flowers, branches, leaves, berries and more), decorative elements (brush strokes, ribbons, garlands, bunting flags, brushes, splatters and more), cactus and branches of bamboo. And also a really cute panda, llama and a little bird, colourful balloons and fluffy clouds! All files are high-resolution (300ppi) and in .PNG (transparent background). Software compatibility: .JPG and .PNG files will work with most graphics software. “Lovely Bouquet” high quality hand painted floral watercolor collection! Lovely floral collection with 27 watercolor elements (flowers, roses, leaves, succulent plants, berries, branches, hummingbird), bouquets, wreaths, template cards and watercolor frames clipart. These elements can be used as greeting cards for birthdays, weddings, invitations, blogs, thanksgiving cards, Valentine’s Day cards, websites and more! These tools will help you create your own logo and branding. Are you a photographer or a copywriter? perhaps you are a knitting master or at the beginning of your startup project? Or you might have a small shop with children’s toys or a cafe with burgers or donuts? You can make your logo, whatever your field using these 590 tools. Software compatibility: Adobe Illustrator CS3 and newer. .PNG files will work with most graphics software. I’ve created a new collection with watercolour painted illustrations and I hope you will love them! Firstly I painted 45 flowers, leafs and other botanical items and then I created 8 invitation designs and patterns to go with them. After trying out many different combinations, I decided to print them and take photos to see how they would looking in real life. You can check out these real photos in the preview images. Create your awesome designs by combining the individual items- you can put them together and use them for any type of design project. You can create limitless invitations, greeting cards and any other fun projects in seconds! To get high quality results, I’ve scanned all of them at 600 ppi. I have cleaned the background so they can be used with any ground colour or texture. You will also get .PNG formats of illustrations and wreaths, .JPEG formats of the greeting cards without text designs. That means you do not need to have Photoshop. You can create an invitation card design with other standard software. And print them easily with A5 paper size! With this pack you can create awesome and unique greeting cards, logos and any type of floral designs. Both vector and watercolour illustrations are included. The Watercolour paintings have been scanned at an extra high resolution and have a transparent background. Vector illustrations are also converted from hand made drawings. All of them are curated specially for you, and they look great together! With these illustrations, we’ve created pre-designed PSD greeting card designs (A5 ready for print), logo / badge designs (with free fonts) and patterns (they look great with greeting card designs.) You can create unlimited and great designs using them together! Choose a better way to make floral designs! Software compatibility: Adobe Photoshop or Illustrator CS4 and newer. .JPG and .PNG files will work with most graphic software. We’ve created a file that includes famous monuments from all around the world- 44 different landmarks and cities. All of them are hand crafted and scanned to an ultra high resolution. Just clean white background JPEG images so you can create unlimited designs with them. They are ideal for web designs, print designs, frames, layout design and so much more. Or create an amazing tourist guide book for yourself! You can find the most popular landmark paintings in this file. They are fresh looking and will fit great with any type of project you are working on. Here is a list of which monuments painting you will get. The Tropical Summer Set collection contains all you need to create trendy logos, invitations, greeting cards, branding identities, labels and badges, banners, prints, patterns and whatever else you can imagine. Have fun! Software compatibility: .JPG and .PNG files will work with most graphics. Recreating the look of the classic matchbook print style is hard. You’ve got to capture the cardboard texture as well as the white showing through the ink. Most importantly it needs to allow for 100% control of what parts of the image the effect is applied to- because sometimes there’s little details on your work you don’t want people to miss! In all honesty, this can make it a total pain to get the effect. However we’re seriously committed to getting this right – so we worked for over 30 hours to make it perfect. By definition a matchbook print effect is going to eliminate small details (like small type) but as a designer or illustrator that can be a deal breaker. So we’ve added Layer Masks to the Colour and Offset layers. That means controlling the effect is as easy as painting it away! One of my favourite parts about matchbook printing are the registration errors. We’ve built the product so it will offset any black in the image. If you don’t want the offset, no problem, you can toggle it off with one click so you maintain the control. I learn by seeing and then doing. I can learn things 10x as fast that way and all my designer friends are the same way. So with this in mind I made a 15 minute instructional video designed to make you an expert at using this product. Not only is it extremely well produced but I dig into every nook and cranny of this product to make sure you know everything! We’ve included some great looking ink textures with the product including circle halftones, diamond halftones, cross halftones, and lines. You also get some great paper textures like classic matchbook, thick cardboard, and corrugated cardboard. We also didn’t want to overwhelm you- with so many textures it takes 30 minutes to use the product. So we picked the best ones to save you time. It took us 30+ hours to make this product but you’ll get results in seconds. Just place your work in the file and save. That’s it- done! Of course, you’ll have fun tweaking the effects for a few minutes. But this product is set up to be a massive time saver. The core of this product is a massive 4500 pixel x 4500 pixel canvas. You can place just about any piece of work into it and get great looking effects. Then just save your work in your preferred file format and crop it. It’s an extra step but it makes it so you can use this for projects on any dimension. Here at RetroSupply we live and breath registration errors, brushes, textures, history. I spend every day working on this stuff. I’ve literally had dreams about ink soaking into paper. Bottom line – we’re good at making this stuff and we really care. It makes for a better product for you. Matchbook Print Machine will help you do all these things. It will save you time (so you can try unique stuff in personal and client work fast). You’ll get to experiment with your illustration and design. Plus, it’s just fun. Software compatibility: Adobe Photoshop CS5 and newer. Add serious vibrant colour and detail with this kit! It comes packed with 32 unique watercolour textures, 12 seamless, repeatable watercolour texture patterns and 2 bonus watercolour paper patterns. All 32 textures come as high res, 300ppi RGB .PSD’s and transparent .PNG’s – so you get the vibrancy of RGB and you still retain the high standard print resolution if you’d like to convert to CMYK for prints. With the included transparent pngs, place the textures on any background and never worry about having to mask unnecessary white from your edges ….it’s already done for you 🙂 Create colourful custom logos, posters, stationery, social media posts, invitations and digital posts with an authentic handmade feel in a snap! All textures have a longest side of at least 2000px @300ppi and all patterns were created at 2000px @300ppi – a high enough size and resolution for all common print and web uses! Software compatibility: Adobe Photoshop CS3 and newer. Chalk as a medium has so many uses – illustrations, menu boards, hand lettering and as a learning aid in the classroom. 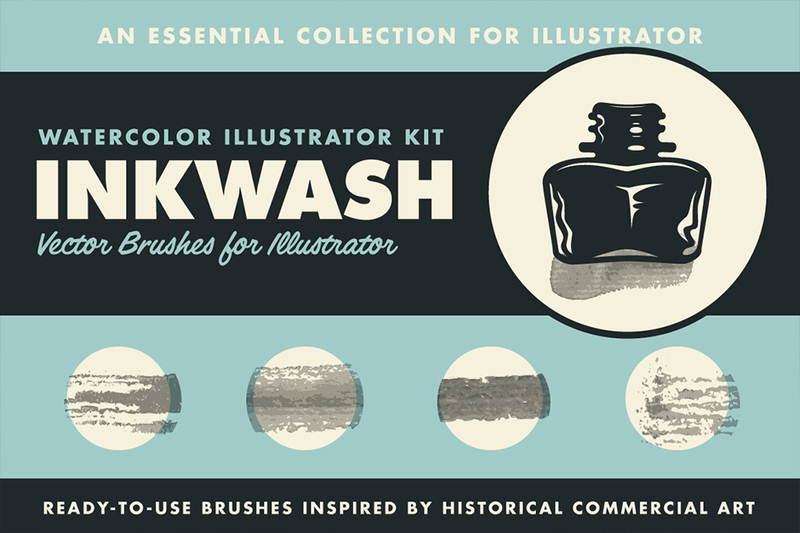 This set of authentically detailed, digital chalk brushes is no different! Being sourced from actual chalk makes these as realistic as a vector chalk set can get – offering you the quality, realism and naturalness you’ve come to expect from an Artifex Forge brush set. One of the common challenges with vector chalk effects is finding the right amount of anchor points – too few and the look is compromised, too many and Illustrator runs slowly. I’ve spent hours ensuring that the balance of detail and performance is just right, presenting you with a win-win situation that looks super realistic but doesn’t drain your computer’s memory. 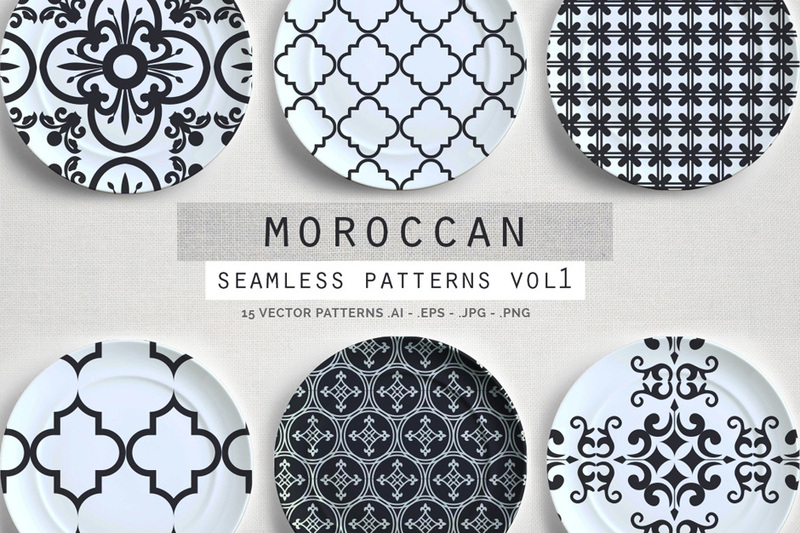 These realistic, seamless, vector patterns are the perfect partner to the brushes. They were designed to fill large areas quickly and so, efficiently speed up the creative process. Doing this kind of work with the brushes would normally be time-consuming and repetitive but now you’ll have even more time to enjoy the fun parts of the drawing process. I’ve supplied them in white but you can easily change them to any colour that your design requires. Full instructions are included. •	The Brushes: 74 Chalk Texture Brushes. •	If you are a tablet user, you’ll be pleased to know that a version of the brushes with pressure sensitivity enabled is included. (Please note that this feature only works in Illustrator CS5+). •	A quick reference guide: This will help you find the right brushes for the task in hand quickly. •	Example files: A selection of the preview images. Use these to see how I achieved the look. •	Instructions: A very thorough guide on how to load, apply and then adjust the brushes is supplied. Software compatibility: Adobe Illustrator CS1 and newer. •	The Brushes: 27 Spray Paint brushes and 6 BONUS Paint Splatter brushes. •	Example files: The robot and graffiti text images. Use these to see how I achieved the look. •	Instruction:A very thorough guide on how to load, apply and then adjust the brushes is supplied. Software compatibility: Adobe Illustrator or CS1 and newer. The brushes are essential for any vector artist who is looking to add an extra touch of hand-drawn, realism to their work. 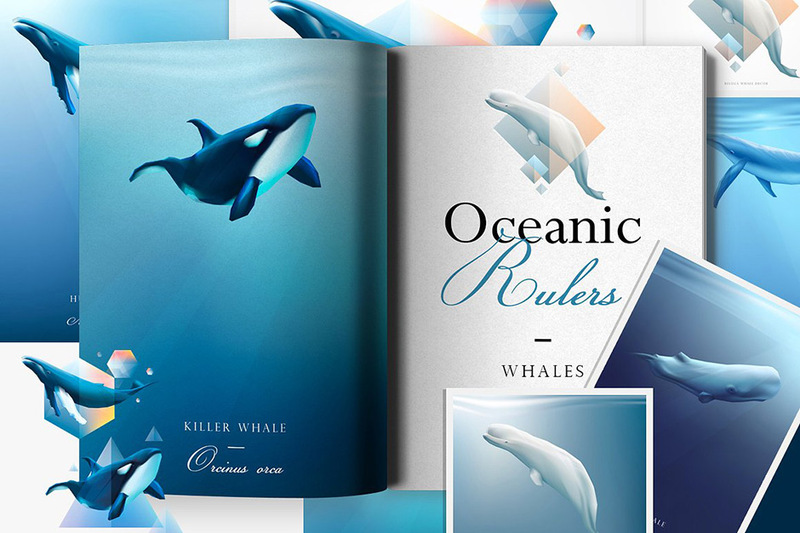 Frames & Folds is a huge collection of 40 ready to use frames, folds, crumples, and paper borders in super high resolution .TIFF and vector format. The collection features a huge variety of textures from light and subtle folded creases, to bold and grungy ink-rolled frames. • 40 x Frames & Folds textures in high resolution .TIFF format (approx’ 8 x12in / 21x30cm @1200ppi). • 1 x Transparency Photoshop action for quickly removing the white background from your texture images and placing them on a transparent layer. • 56 x Frames & Folds vector textures. • 1 x quick start user guide. • 1 x printable contact sheet with preview thumbnails for each and every texture. Software compatibility: Adobe Photoshop CS6 and newer. .TIFF files will work with most graphic software. This Gritty Vignette Texture Pack is a collection of handy vignetted Bitmap and half-tone textures, ready to roll in, in super high resolution .TIFF and vector format. The collection features a variety of vignette shapes and gradients, each custom made using a wide range of source materials including: vintage paper stocks, card, ink, paint rollers, concrete, printing, photocopy and street grunge. • 10 x Gritty Vignette textures in high resolution .TIFF format (approx’ 8 x12in / 21x30cm @1200ppi). • 10 x half-toned Gritty Vignette textures in high resolution .TIFF format in two different dot sizes (approx’ 8 x12in / 21x30cm @1200ppi). That’s 20 half-toned textures total! Superbly beat up halftones to add some roughage to your work. Our Beat Tones Brush Set contains over 200 high resolution distressed halftone brushes for Photoshop to save you a tonne of time and effort. These aren’t your standard point-and-click ‘stamp’ style brushes. Designed to behave like the digital paint brushes you are used to, Beat Tones brushes are 100% seamless and can be painted-in just like a digital acrylic, gouache or oil brush with complete control over stroke weight and colour. Carefully crafted using real distressed paper, ink and card stock. • 120 x Halftone Dot Brushes. • 72 x Halftone Line Brushes. • 12 x Cross Hatched Brushes. • 1 x comprehensive, easy to follow installation guide. • 1 x printable cheat-sheet booklet previewing each and every brush. • Each brush is clearly named and tonally grouped, allowing for fast selection of the right tone for the job, from light to dark, subtle to bold. • Perfect alignment of textures within each brush group allows you to create graded shading by layering gradually darker halftones, one on top of the other. • Pressure sensitive brushes allow for complete control over stroke weight. • Complete control over colour selection. Just set your foreground colour and you’ve got this! Software compatibility: Adobe Photoshop CS6 and newer. Quickly and easily apply worn out photocopy textures to your artwork in a variety of ways using our high resolution Photocopy Texture Collection, Smart PSD and Toner Grit brushes. Perfect for designers, illustrators, gig poster artists, ‘zine makers and publishers. • 30 x Photocopy Textures in high resolution .TIFF format (approx’ 8 x12in / 21x30cm @1200ppi). • 1 x easy to use smart .PSD template. Just place your artwork in the top layer, choose your combination of textures, paper and toner colour and save. (approx’ 8.8 x11.5in / 21x30cm @300ppi). • 7 x photocopy toner grit brushes for Photoshop CS6 and higher. (Resolution = up to 5000px). • 1 x comprehensive, installation guide. 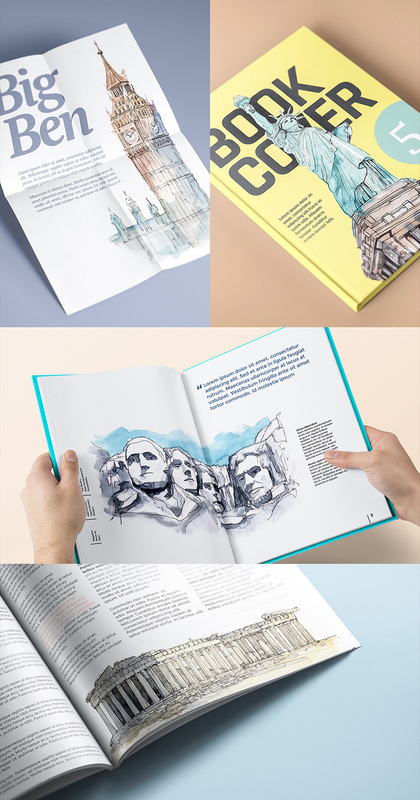 • 1 x smart .PSD user guide. • 1 x printable contact sheet booklet with thumbnail previews of each and every texture. • 1 x printable cheat-sheet booklet previewing each toner grit brush. Our Stargazer Photoshop Brush Set comes with 10 unique brushes of star clusters and galaxies from far, far away… Create stunning, unique backgrounds using any color you want… Combine colors and get creative… Just one click adds an entire galaxy to your designs. Our Duotone & Gradient Overlay Effects includes 33 unique Photoshop actions to give your projects a burst of color! Vibrant jewel tones and unique color combinations were carefully selected and crafted by hand. All effects are adjustable with basic Photoshop knowledge. Colors can be adjusted to match brand look and feel. Use on photos, paintings or illustrations – get creative and have fun! Presenting a fine collection of hand painted mask shapes. These dramatic brushed shapes bring flair to any project and also add a hand crafted twist. Choose from a variety of 30 different hand painted masks to find the perfect fit. Simply drop any photo onto the masks to easily and quickly capture that high-impact, masked photo look. Never done that in Photoshop before? Check out the video tutorial below, to show you this quick and easy step in Photoshop. If you prefer to work with other formats, vector EPS format, and transparent PNG formats are also included for your convenience. Software compatibility: The .PSD file will work with Adobe Photoshop CC and newer. .EPS files work with Adobe Illustrator or Photoshop CS1 and newer. .PNG files will work with most graphic software. Introducing “Digital Painting Effect PRO”! These actions will give your photos a digital painting effect in just one click! The actions work best/give the best results when the skin of the people/ subjects in the photos is smooth and clean. Please note: Make sure your language is set to “English”, if your language is anything else, the actions will give you many errors and they will not work. Spray paint pack is a collection of 40 individual spray paint marks. Created by hand, with a real can of black spray paint on white paper, all ready for you to use in your work. Easily add paint marks to anything – a whole host of drips, splashes, heavy splatters, fine sprays and long paint runs. All the image are put together in 8 .JPEG files at 4000 x 5000px. Also included, a photoshop brush collection of all the images in this pack, at amazing super hi-res. Software compatibility: Adobe Photoshop CS3 and newer. .JPEG files will work with most creative software. This set contains high quality hand painted watercolour birds, nests, feathers and floral elements in a boho style. Perfect graphics for DIY projects, wedding invitations, greeting cards, quotes, blogs, posters and much more. Software compatibility: .PNG and .JPG files will work with most graphic software. This set includes high quality hand painted watercolour skulls and flowers in a boho style. Perfect graphics for DIY projects, wedding invitations, greeting cards, quotes, blogs, posters and more. Software compatibility: .PNG and .JPEG files will work with most graphic software. This pack contains pieces of torn paper, perfect for handmade designs, websites banners and buttons,mockups and many more. Each element is obtained by using the original scan, accurately cut from the original background, to preserve every shade of the irregular paper edge. •	A layered .PSD file (4 layers – Kinds of paper pieces, banners, buttons, stripes & sheets) You can edit the color with the applied effect. This Tropical Watercolor Collection included Wreaths, Cards, Template, Floral Elements, Fruit, Leaves, Flowers, Branches, Palm tree and more. This set is just what you need for the perfect invitations, craft projects, paper products, party decorations, printables, greetings cards, posters, stationery, stickers, t-shirts, baby clothes, web designs and much more. This Collection of high quality hand painted watercolour Floral Graphics includes are Wreaths, Branches, Template, Floral Elements, Leaves. These are the perfect graphics for DIY projects, cards, wedding invitations, greeting cards, brand identity, packaging design, cases, photos, posters, bags, logos, quotes, blogs, website, banners and more. 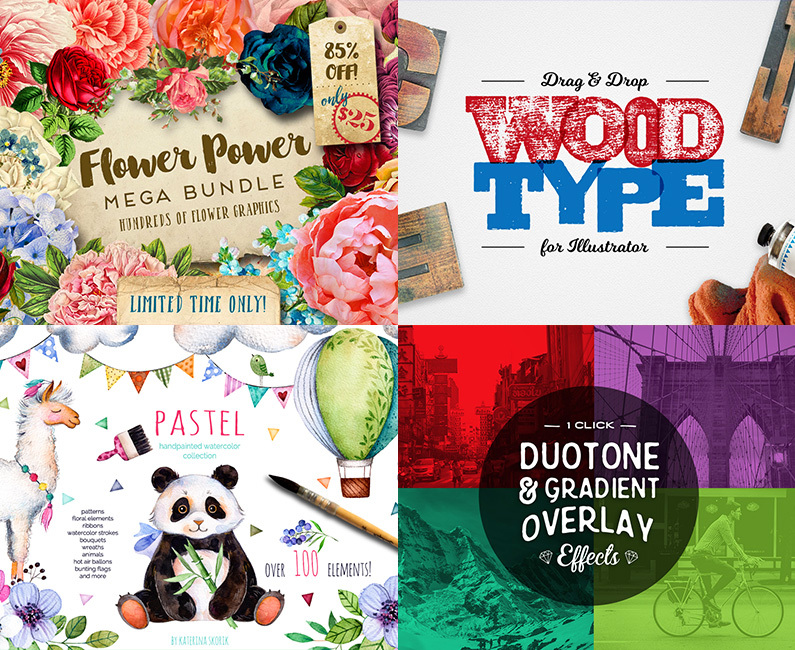 This bundle brings you the best creative resources that the design world has to offer. 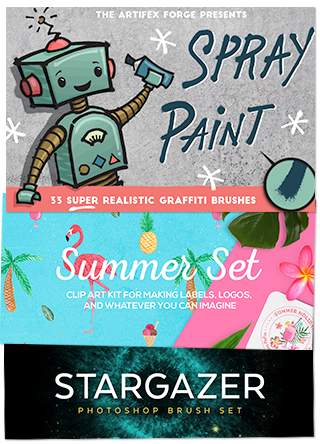 We’ve teamed up with designers like Ian Barnard, Retro Supply Co., Skybox Creative and Roman Jusdado, to organise an unbeatable bundle of graphics, brushes, effects packs, a versatile array of paint textures and watercolours, scene creators, and much more! File size is approx 10.6GB (.17.39GB unzipped), split into 25 parts or an optional one click download. Hi I’m interested in this bundle. It’s the offergoin to be on again? This particular bundle wont be offered again as we don’t re- run bundles I am afraid, but we will definitely have similar styled bundles in the future! I have a question concerning commercial use of elements in this bundle. Can I use them for stationery design artworks like notebook covers etc? I missed this great items…..I feel so sad…..
Can I have a chace to get them if it’s not too late…. Unfortunately, this Bundle expired back in July 2016 I am afraid and as we now have our marketplace, we will no longer be featuring our older bundles as re-runs in conjunction with our new bundles. I’m so sorry to disappoint you! Forgot to rate. I super love this deal. I would give anything to be able to buy this bundle or even elements of it!!!! I’m so upset i missed it. Thank you so much for your comment. I’m really sorry to be the bearer of bad news but I’m afraid this bundle is now completely expired so I am unable to set you up with it. I’m sorry for any inconvenience caused but I would love help you out in sourcing any particular items from this pack you were after? If you could let me know if there were any resources that caught your eye, please do let me know and I will happily point you in the right direction to pick them up individually. I hope this helps, Kirsten, and I apologise again for any inconvenience caused! If there is ever anything else I could assist you with please do get in touch. I’m always happy to help. how can I download the browsing guide? I do not see it anywhere in the pack that I downloaded. Thanks! In order to download your Helpful Documents, you will need to be logged on to your account page at http://www.designcuts.com/login. Once you are logged in, you should see the the name of your bundle and the link to ‘View Files’. 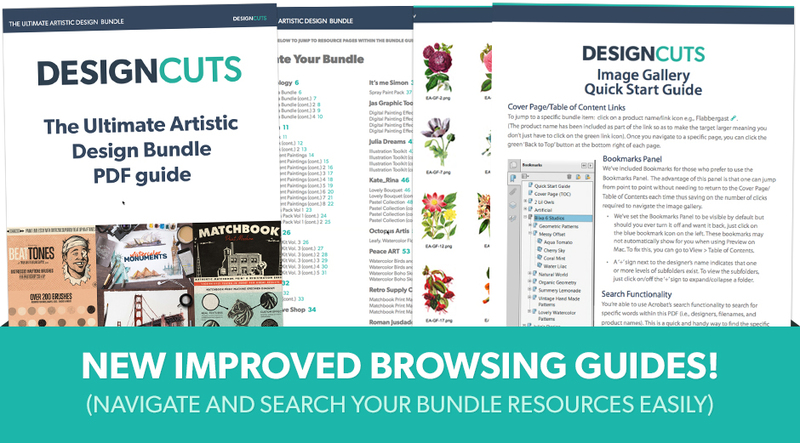 If you click on this you should be taken to the page that will allow you to download your complete bundle, individual designer folders and the independent link for your Helpful Documents as well. I hope this helps, Dorothy, and please don’t hesitate to contact me should you have any other questions. I’m always happy to help! Thanks for the comment on this one! I am so sorry to disappoint you but unfortunately this one is no longer available! This is one of our much older bundles so expired quite a while ago. If there are any items from the bundle that you cant see in the Marketplace though, please do let me know and we can work on getting them featured for you! I hope this helps, Jacqueline! I keep buying each bundle and then coming back to look at this one because it is so beautiful and I couldn’t afford to buy it at the time it was initially listed. I don’t suppose there’s any chance that this bundle will be rerun in future? Thanks for your comment, I am really sorry but I’m afraid that this deal is now well and truly finished, so I won’t be able to set you up with this. With our new marketplace up and running, we will no longer be featuring our older bundles as re-runs in conjunction with our new bundles. I apologise for any inconvenience caused! I hope this helps, Cas! If you have any other questions or if there is ever anything else I could assist you with please do get in touch. I’m always happy to help! Got caught up in major computer migration, so I was only able to download these goodies now, but I just have to say how absolutely delighted I am with the variety in this bundle! LOOOOVE IT! Thanks so much DC Superheroes! Thanks again, Liv. I hope the new systems is running smoothly for you as well! purchased this deal on 08.08.16. Download some files and couldn’t download the other ones because I had no space. Now nothing appears on my list. Thank you so much for your comment and I am so sorry that you are experiencing issues with your bundle! I’m so gutted to have missed this bundle! It’s exactly what I’m after for a couple of projects. Can you advise on whether you’d be releasing a similar bundle anytime soon? Or even better – reissue this bundle by popular demand?! I am so sorry that you missed this one! As we have recently launched our new marketplace, we will no longer be featuring our older bundles as re-runs in conjunction with our new bundles I am afraid. I missed this great bundle. Could I still get it? I just realize that the deal that I am interested in is The Mammoth Textures, Patterns, and Backgrounds Bundle as I already bought the Ultimate Artistic Design Bundle. Hopefully is not too late to make the purchase. I am really sorry to be the bearer of bad news, but the Mammoth Textures, Patterns and Backgrounds Bundle has now completely expired I am afraid! As we have recently launched our new marketplace, we will no longer be featuring our older bundles as re-runs in conjunction with our new bundles- I’m so sorry to disappoint you. I have just popped you over an email to give you a bit more information on this, my sincerest apologies I couldn’t be of more help this time! I thought that I wrote a message last week but now I am unable to find it. Would it be possible to buy this deal, I use to purchase all of them and missed this one. Thanks for the comment on this one! I am so sorry to hear that you missed out on this but rest assured, I definitely couldn’t stand in the way of your love for this one :). I have sent you over an email which should hopefully help :). Purchased this deal on 6.8.16. Downloaded all but Eclectic Anthology Part 2 File failed to download, maybe because the file was too large and there was one inturruption or the other. Now i see it removed from my file list, and message that i have exceeded the maximum file space limit for this particular file. Kindly help me out here. I am so sorry that you are experiencing issues with your download! Hi – Is there any way to still get this bundle? Looks gorgeous and I missed it the first time around! Thank you so much for your comment- I am so sorry that you missed this one! Maybe I can buy this deal also? Does anyone help me? Thanks so much for commenting- I can absolutely still help you with this! Pleasssseeee oh pretty,please tell me there is a way I can get this set still?! It just popped up on a sponsored Facebook add and I need it in my life!!!! With sugar on top! I have just sent you an email now with some more information! Some of these items do already make an appearance there so I would definitely recommend checking it out! I hope this helps, Charmaine, and please don’t hesitate to contact me should you have any other questions. I’m here to help! Damn, sat on this one way too long. Any chance I can still get this deal????!!! Same sadness here! Is there any chance to have this beautiful bundle? I missed the deal! I’m feeling very sad and so Im going to go sketch my sadness away. Thanks for your comment, I’m sorry you missed this deal! Rest assured, I’m here to help 🙂 I’ve sent you a quick email to help get you up and running again. Any chance I can still get this deal ? Thanks for getting in touch, I’m really sorry to hear you missed out on this one! Rest assured, I am on the case 🙂 I have sent you an email to assist you with this. I can certainly see what I can do for you 😉 I have just popped you over an email now! I missed it too! It was in my cart. Anything you can do? Actually, I was able to find it under “order details” and it said “pending payment”. Thanks! I have just sent you an email now, don’t worry we haven’t forgotten you! so sad i missed this bundle :((( is there still a way to purchase this? Oh no! Please don’t be sad, I would hate for you to miss out on this one completely! Ugh, I’m so mad I missed this bundle! Thanks so much for your comment- I am so sorry that you missed this one! Hi I saw this bundle late.I am too sorry 🙁 Do I have any chance to buy it ? Oh dang I was looking at all the fun things on this and ordered it I didn’t even realize that it would not be compatible with Corel Draw. I cannot get any of this to open in CorelDraw. Any suggestions or am I out of luck. I am so sorry that you are having trouble using these resources in Corel Draw! The designers that we work with always list the software compatibles in the description of each item on the deal page. This will usually be their recommendation to ensure you are getting the best out of your new resources. Just started working with the first package from Eclectic Anthology. Artists, please do us customers a favor by naming and organizing your files well. I can’t search filenames like “EA-F-11” on my system and it’s not a favor to make someone rename dozens and dozens of images. Wish you would’ve named the files by the flower names! They are pretty, though. Wishing they were alot easier to work with. I am so sorry for any inconvenience caused by this! Unfortunately, as there are so many files included in each pack, it would take Tina quite some time to rename all the images by their flower names I am afraid! I would be more than happy to pass your feedback onto the designers for future reference, as we absolutely want to make sure that your resources work as best they possibly can for you and your needs. As an alternative, what we have done is rename the elements by the pack they’re in, which you can find in the abbreviations on your download links. We’ve also added a series of image galleries & PDF guides which will allow you to browse every individual item of the bundle with ease :). My sincerest apologies if this is of any inconvenience to you! What a beautiful bundle you guys created! I came on today to buy it and already missed it, oops! Oh no, I am sorry that you missed the deal! This is such a lovely comment- thank you so much! I was hooked at the Flower Power bundle, but then I scrolled to see what else I would get, and I kept finding more kits I NEED. I am SO HAPPY that most of the designers have included the PNG and JPG files for these kits. Wow, thank you so much for your awesome comment and for your purchase! We always love to see what our community are designing with their DC elements so please do feel free to share your creations with us. If I use various elements from this bundle to create my own final piece, can I sell it as a flattened jpg digital file? Thanks so much, this is a great question! damnit, you guys are worse than the borg: resistance is futile! i try to tell myself that i don’t really need the current bundle, and can hold out until the last day, but then i give in. too good to pass up! I really hope that it comes in handy and that you have so much fun working with this one. The bundle is absolutely gorgeous, just a few hours before it’s all gone. Hey I’m about to hit my “proceed to paypal” button, but would you mind to convince me more about the lisence, please ? especially the commercial one. I’d be very grateful if you could drop me an email. Can’t wait to get the deal. Thanks so much for your comment and kind words, I can absolutely help you with this! Thank you so much for your quick respond. That helps me much. Well, heading to push the button then. Going crazy with DC bundles. Becoming addicted! Hello! Not to be redundant…but Is it okay to make digital designs for sale, using single elements from this design collection? Thank you for your comment, I can absolutely help you with this! Wow. What an incredible collection of goodies. Wish I had the funds to purchase it! All those illustrations are simply gorgeous!!! Oh thank you so much for your extremely kind words! yet again, another fantastic bundle, ive had to upgrade my personal storage to accommodate these massive downloads, keep up the great work! Hi! This bundle is gorgeous. My best purchase. I have the same question as the others. License says that we can use items in commercial projects and items for sale. I just want to confirm that I can use one PNG element on a white page and sell it? (Digital print) A flower for example. Thank you! You can certainly use these resources within your commercial designs however you would not be able to resell any single elements standalone within your products. If you were to combine them with other graphic elements such as fonts, vectors or illustrations – this would be allowed under our extended licensing. I hope this helps, Jiji, and please don’t hesitate to contact me should you have any other questions. I’m always happy to help! Thank you for this wonderful bundle. If you do have any questions or if there is ever anything I could assist you with please do let me know. I’m always happy to help! I bought this before seeing the rest of the bundle – as soon as I saw the custom scene roses I was sold! As usual, love love love! That is fantastic to hear, Candice! Thank you so much for your purchase 🙂 I hope you love working with your new resources! I just can’t get over how gorgeous these products are! Thank you for providing such beautiful graphics that the small business owner can afford! I have a quick question about the” Jas Graphic Tools-Digital Painting Effect Pro” All of the sample images are of people, do you know if this tool works on objects such as buildings or even a landscape photograph? Thanks for any information! Either way, this bundle will be downloaded to my computer soon, lol. Thanks for your comment, I can certainly help you out with your query 🙂 You can absolutely use this item on your building or landscape photos – I’ve run the Painting Effect actions on a few landscape photos and I personally think the results come out brilliantly! I’ve sent you a quick email with some examples for you to check out! Hello just came across this website today. thank god!! I’m a little outdated wanted to know if all of these fine design will run on Corel draw X6? Thank you so much for your comment and a huge Welcome to Design Cuts from myself & the whole team! It’s great to have you join us 🙂 I can certainly help you out with your query! I hope this helps, Jalugo, and please don’t hesitate to contact me should you have any other questions. I am always happy to help! I love it!!!! Is it okay to make digital designs for sale, using single elements from this design collection? I really love the hand painted masks bundle! it looks so cool and useful for making a photo a little more dynamic. Thank you so much for your kind words! I’m so pleased you are liking the look the hand painted masks in this bundle 🙂 I hope they make an awesome addition to your projects! Just went ahead and purchased another external drive for all my DC resources. I’ve been contemplating doing this for a while to free up some hard drive space but I was trying to convince myself it wasn’t necessary then, this deal came out the same day that I saw a pretty good price on a 1.5 G drive so, it seemed like the universe was telling me…”you need to do this”. Got the drive and I’ve already transferred my previous DC bundles to it…next I need to hit the purchase button on this deal and add it to the set…that’s on the agenda for when I get home tonight. Thank you for commenting and thank you so much for your purchase! It’s great to hear that this bundle will make a great addition to your new DC resources hard drive 🙂 I hope you enjoy working with them all. If I can be of any assistance please do let me know! Thank you so much for your kind words, Anke! It’s great to hear you’re loving this pack! I hope you enjoy using your Ultimate Artistic design resources 🙂 If you have any questions or queries please do let me know. I’m here to help! I’m afraid I couldn’t find the “Bonus: 5+ ready for use card ( posters) ” in the Birds Pack (Peace Art Bundle). Really love those sample images. Can anyone help me? I am so sorry that you are having difficulty finding these files, let me check this one out for you and I will pop you over an email with some more information right away 🙂 rest assured we will get you up and running with the bonus files. Thanks Sarah, I’ve got those lovely pictures now! The whole team and I really appreciate you taking the time to get in touch with such awesome feedback. Ditto – you had me at a design bundle…. can’t wait to see how to use some these most nifty elements & brushes! Your kind words and support are very much appreciated, so a huge thanks to you for taking the time! I have had to buy a new hard drive JUST for DC stuff!! Finally sorted everything into order now, so probably did me a favour! Thanks so much for reaching out to us on this one. Thank you for the great feedback- you took the words right out of my mouth Carl as your support means the world to the whole team and I. If there is ever anything you need, we are always here and happy to help! Just wondering why this site is illegally selling pictures taken by Nasa and the Hubble Telescope? Stargazer brush pack using these photos, you cannot do that, it’s copyright infringement. Thanks so much for your comment and thank you for bringing this to our attention-I am so sorry for any worry this may have caused you! Rest assured, we take copywriting extremely seriously as do all the designers that we work with on our bundles. I have spoken with the design team at Skybox about this and I can absolutely confirm that these are being used in accordance to NASA’s image use policy. We completely appreciate your concern with these Anthony and want to thank you for taking the time to get this checked 🙂 Your diligence regarding the correct licensing is really great to see. Please do always let us know if you have any other queries! I honestly think I may lose a little sleep each night having to wait until next week to purchase. But this bundle is on point. So perfect for me right now. I might have to hustle so I can get it sooner. Thanks so much for leaving us a comment! Flowers and watercolours and brushes oh my! Just what I’m looking for. Thank you so much DC! I’m just wondering why you choose to send people an individual email to answer their questions in the comments rather than answering here? There are often questions about licencing that come up that I (and probably others) would also like to know the answer to but – because you email the asker directly – we have to ask again. Wouldn’t it make more sense to just answer the question here so that doesn’t have to happen? Thanks for the comment and we are so pleased to hear that you are enjoying our latest offering! It really depends on the type of query when it comes to licensing- if it is something that will be quite lengthy to explain or perhaps where we may be including examples, we will send an email to include these and the main body of the answer- otherwise the comment page would get really long! The email can also then be a point of reference for the community member if needed :). Also everyone’s licensing query tends to be a little bit different given that everyone is working on different projects with different end products so it is usually necessary for us to get more information including some examples from you as well- that way we know we are giving you the right answer for your individual query! Love this collection, especially the watercolour graphics. Can’t wait to work with them 🙂 Good job! That is great to hear, Margareta! 🙂 I really hope you enjoy working with these resources! If there is ever anything I could assist you with please do let me know. I’m always happy to help! But I would also love a bundle with the fonts used by the designers in their presentations 🙂 Is it possible to have the names of some of handwritten the fonts used? I hope it helps, Ingrid, and if you have any other questions or queries please do let me know! Sorry – where is the video guide? I hope this helps, Graham, and apologies again for the delay! Please don’t hesitate to contact me should you have any other questions. I’m always happy to help! Little confused about how much is enough. Thank you for your comment! No problem at all, I have just sent you an email to assist you with your usage query 🙂 I hope it helps! This bundle is astounding. Looking forward to add it to my collection. Thank you so much for your comment, Slanzoni! The team & I really appreciate it 🙂 I hope you are able to add this bundle to your collection soon! I really hope you’ll enjoy the new resources in your creative toolkit and will get loads of use out of them 🙂 If you have any queries, please let me know. I am always happy to help! Awesome bundle once again! Thank you! This is soo gorgeous!!! I was smiling as I scrolled down to see what’s in the bundle (after I actually purchased, haha!) . Thanks, DC, for always coming through. Thank you so much for your lovely comment & thank you for your purchase 🙂 It really means the world to have your support! In the Julia Dreams Illustration Toolkit, what exactly is meant by “patterns can’t be used stand-alone”? Thanks so much for commenting. I can certainly help you with your query 🙂 This means that the patterns cannot be used on their own and would need to be incorporated with your own original work or other graphic elements to create a wider, unique design. I would buy this just for the vintage flowers alone! Any idea if they’re legal sources, though? I looked here, on her Creative Market site, and on her personal site, and the language is pretty vague (“carefully curated from a variety of antique sources”). I’m looking for something where the images are scanned in hi res from her personal collection, rather than downloaded from random websites. I’ve been burned too many times before assuming images were obtained safely. If anyone has more details, I’d love to know. Thanks! Thank you for your comment! It’s great to hear you are loving the look of the Mega Flower Bundle from Eclectic Anthology! Rest assured, we have a fantastic relationship with our designers and we have worked directly with Eclectic Anthology to feature this item in our bundle! I hope this helps, Ann, and please don’t hesitate to contact me should you have any other questions. I am always happy to help! Thank you Ben! I was actually wondering if the designer had obtained them from legal sources herself. (and a generic idea of where….if she got them from the internet, or scanned them from original, antique papers she owns). Ann, I confess I had the same doubt. Thank you very much for posting here the designer’s answer! Side note: I didn’t realize my H’s would continue right and not hard return underneath so I apologize to anyone whose browser I destroyed. This one’s a doozy! First time I get a RetroSupply product in a DC that I had not already purchased. I think I won the lottery. In fact you can name a future bundle “The Doozy” if you like. I am super supportive of this comment. Thanks so much for your awesome comment! It’s great to hear this bundle’s given you that lottery-winning feeling 🙂 I hope you enjoy your new resources. Thank you kindly – I’ll pass this suggestion on to Tom now. Keep an eye out for “The Doozy Bundle” coming soon! OOOOOOOOOOOOOOOOOOO YEAAAAAAHHHHHHHHHH!!! Congratulations DC Team!! Yet another J-D-D-D (Jaw-Droppin’-Drool-Drippin’) bundle from the CREATOR of the WORLD’S BEST GRAPHIC BUNDLES. (I just made that up especially for all the non-stop-hardworking-people inside DC Team) You guys just never give up do you? 😀 And for that I thank you. DON’T STOP. EVER!! Conclusion: 5 Stars (Since the first bundle I bought). BDN Button. Cheers!! Thanks again for you purchase and your incredible support, Iskandar. I hope you enjoy your new resources! I have a question about commerciel use. Is it okay to make digital papers for sale, using single elements from this design collection? More specific: Use of flowes, patterns or elements and create/combine a NEW jpeg file for sale? Thanks so much for commenting with your query. I can certainly help you with this 🙂 I have sent you a quick email that should help you! I hope it helps, and please don’t hesitate to contact me should you have any other questions. I’m always happy to help! I have the same question on commercial use as Brigitte. Could you email me as well? And thanks for this awesome pack! I’m loving it. Of course, Brian! I’m just sending you this email now 🙂 I hope it helps! I would also be interested in hearing the answer to this question. Thanks! Same question here Ben. Can you please email me too? Thanks! I am interested in the answer too. Add me to this list! I’d love to design with this bundle for craftsUprint, but need this clarification. Thx in advance! Will do, Jolis! I’m just emailing you now 🙂 I hope it helps! Can you send the information to me as well? Thanks! Why don’t you just post what you are emailing everyone? You can email me too, but isn’t it easier to just post it once and be done? Thanks. Please send me email, too. I am so sorry that we aren’t able to post one answer for everybody to see. I have just popped you over an email now so that I can help you! Hi Ben I just bought the bundle and have the same query regarding copright if you could also send me an email to clarify. Thanks in advance. Megan. I would appreciate knowing the specifics for commercial use too please, before I purchase. 🙂 Thanks! This is absolutely no problem, I have just popped you over an email too! Can you please send me the email too, Ben? I have started in December a new line of products that are, actually, designs that combine artwork from this bundle, patterns and other fonts I’ve bought during the years, that will be for sale: personalised quotes or inspirational quotes. The designs are mine, but I still use elements from your bundles. As I’ve understood from the extended licence, I can use elements as to create my own designs, if I want to sell it afterwords. Thank you so much for your comment and rest assured, I can certainly help you out with your usage query as well 🙂 I’ve sent you an email with some more information on our licensing and get some more information on how you will be presenting your products to your customers. I hope it helps, and please don’t hesitate to contact me should you have any other questions. I’m here to help! Great bundle! Thanks for offering some really cool things I haven’t seen before. Thanks so much for the feedback on this one and that is great to hear we’ve included some new items for you! Thanks you for raising the ‘softwares’ error- whoops on our behalf! I have corrected this now for you so the correct plural should be showing for you now :). You had me at Artifex Forge…. again. I have been stalking those Chalk Brushes! Squeeeeeeeeeeeeee I absolutely love everything from The Artifex Forge! Was coveting the chalk one! That’s great to hear, Claudia! We’re huge fans of Artifex Forge as well so you are in good company 🙂 It’s great to hear you’ve got both eyes set on the world landmarks as well (I’m sure if they could … Odin & Nick Fury would have both eyes on them too)! Yay that is great news and we are so happy you like this one- hopefully you will get loads of use out of your new resources! I am also completely in love with the labrador puppies project you posted on Insta Jordan! That was too cute for words :). Couldn’t sleep so I thought I’d check my mail at 2.45am. Got the email, saw the first half of the preview image and checked out before the entire page could load (on my phone). Thanks for putting together another awesome bundle! You should set up an auto-pay cos that’s what’s happening for me now. So the question is did you manage to get back to sleep or did you spend another while scrolling through lol? We get asked quite a bit about the option for an auto-pay or subscription but we know that whilst you love this bundle, our next one might not be a good fit and we would rather you purchase items that you will definitely use for your projects :). Hopefully you got some sleep and are ready to take your new items for a spin! Thank you so much for the comment on this one! Oh no- we are so sorry to keep tempting you with the bundles but thank you for all the support :). Hopefully you will get loads of use out of your recent purchases though to help ease the pain of the cost a little! Aw thank you so much Evgeniy! We are so happy to hear this- thank you for taking the time to comment! We had an awesome time putting this together so your feedback means a lot to us :). We hope you love working with it! How bad is it when you stalk the DC Facebook page and refresh this website in the hopes that the new bundle has been released? I fell in love with this bundle before I even scrolled half way down. Clicked, bought, and now it’s mine! Thats really bad Tammy, oh wait I do exactly the same thing. Off to design bundle rehab it is then. Shame on design cuts for tempting us with such good deals. Thanks so much for the comment and I definitely don’t think you’re alone in this :). The whole team here spend Deal Day watching the clock tick closer to launch as we get so excited!! We are so pleased that you love it and we hope you enjoy taking the resources for a spin! Please do share anything that you create as we would love to see what you create :). I’m the same just I do it on the main site. I’m a bit of a bundle addict. I just wish I have a gigabyte web connection to download and infinite disk space for all of the assets.